Our family is in the total sweet spot for the newest Star Wars movie, The Last Jedi. And by sweet spot, I mean parents who grew up with the "original" movies who have a teenage son who knows the Star Wars Expanded Universe better than most. Unsurprisingly, we've seen it twice, and all love it. 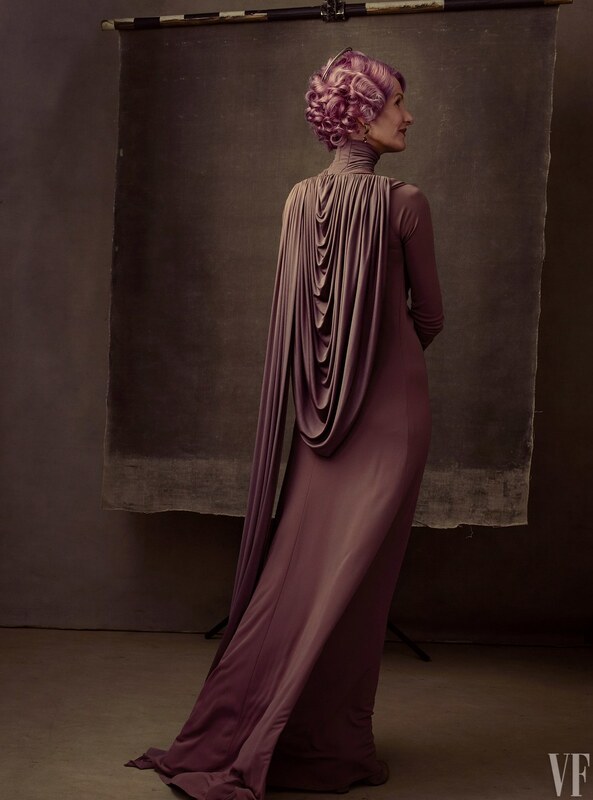 But...we all have little, tiny things that bug us, and for me, that's the outfit of Admiral Amilyn Holdo. Ugh, the dress! Why is the person who fills in for the ultimate strong leader, Princess Leia, wearing an evening gown! Gah! I was discussing this outfit problem I have with the family Expanded Universe expert, how the soft, drapey dress bothered me on a woman who was put in charge of the fleet. Said expert is also an amateur actor and attuned to dramatic effects. Without giving away any spoilers, he said that the Admiral's outfit was less about her role as a strong leader, and more about her ultimate role as a savior. It was more about the movie making than any kind of statement on hard and soft leadership. Fair point.